Colouring hair, even when done correctly, tends to lead to a plethora of problems such as dry hair, breaking hair and allergic reactions among other complications. A safe way to color hair is through natural methods such as henna and indigo but sometimes, women still go with the chemical products available on the market for a number of reasons related to convenience and color variety. Is Safflower Oil Good for Your Hair? Safflower is great for a few hair issues. If you find your hair suffering from one or more of above problems caused by coloring, you can remedy it through the use of safflower oil. 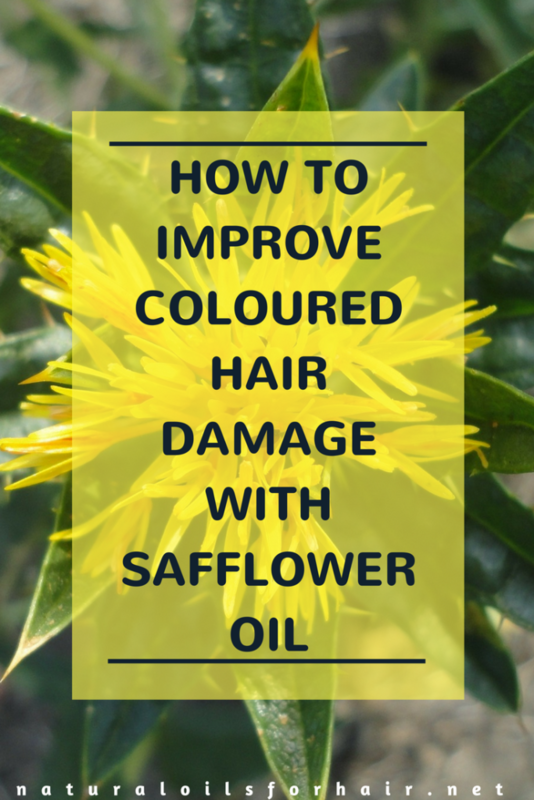 This article will cover safflower oil nutrition, safflower oil benefits for hair, how to use safflower oil on hair, best brands of safflower oil and where to buy them. Safflower aka Carthamus tinctorius is a herbaceous, thistle-like flower which blooms annually. Safflower oil is a vegetable oil and is extracted from the seeds of the plant. The plant’s flower heads bloom in yellow, orange and red colors, and has a very mild flavor. Traditionally, safflower was used for coloring and flavoring food but has been cultivated almost exclusively for safflower oil in the last 50 years. Safflower oil is colorless and flavorless. It goes quite well with sunflower oil. Read Smoothen Out Dry Hair with Sunflower Oil. 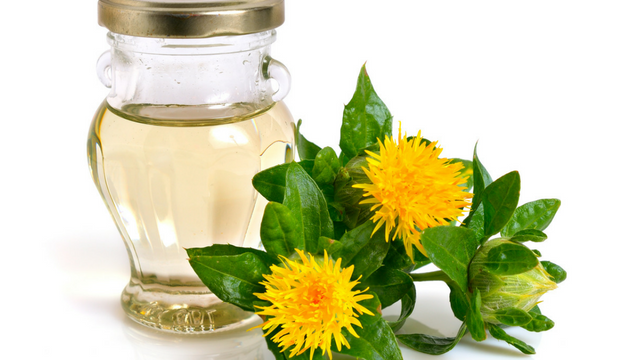 Currently, there are two kinds of safflower oil on the market. One version is high in polyunsaturated fatty acid (linoleic acid) while the other version is high in monounsaturated fatty acid (oleic acid). The safflower oil high in monounsaturated fatty acid (oleic acid) is the edible version used in cooking and for hair care. Some great benefits of safflower oil for hair are outlined below. 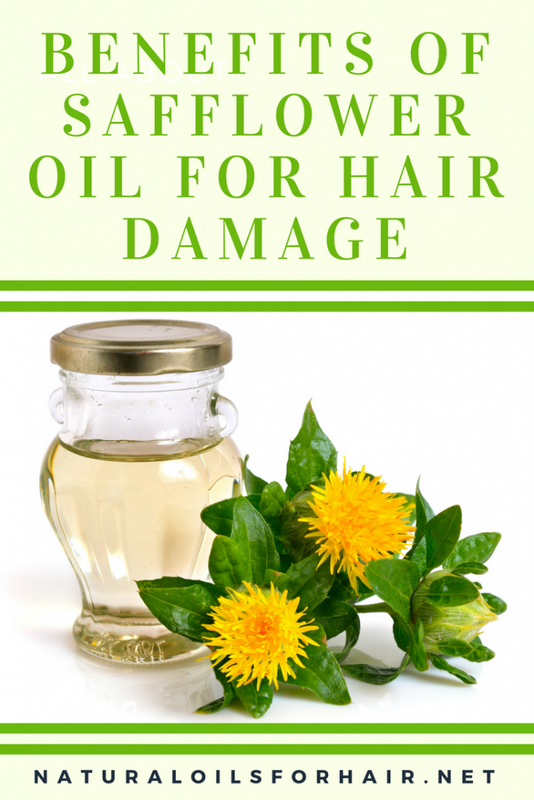 Safflower oil helps with preventing the loss of protein from the hair like peanut oil, grapeseed oil, and coconut oil. Safflower oil has a high smoking point qualifying it as one of the oils suitable for heat styling. With a high ceramide content of 78%, safflower oil is excellent for smoothing out hair and helping hair recover from the aftereffects of coloring hair with chemicals. Apply to your clean hair and scalp. Massage your scalp and smooth through your strands. The scalp massage will help dilate the blood vessels, allowing more nutrients to reach the hair follicles. This fosters an environment for healthy hair growth while the hot oil treatment will hydrate your strands and reduce the effects of hair coloring. 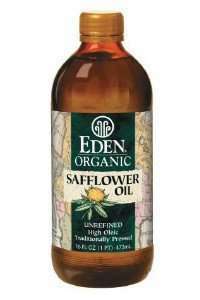 Sunflower oil can be used as an alternative to safflower oil. 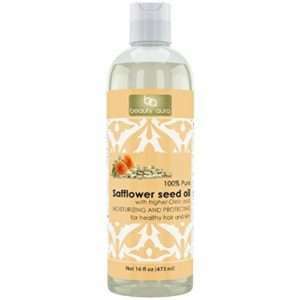 Safflower oil can also be used for shaving your legs leading to smooth, silky and moisturized legs! If preferred, safflower oil can be taken as a nutritional supplement. However, focusing on external application can help address the issues faster. Read my earlier articles on Healthier Hair from Inside with Oil Part 1 & Healthier Hair from the Inside with Oil, Part 2 for recommended oil supplements. When buying safflower oil, ensure you pick up the organic expeller-pressed oils. They might be more expensive but they are better in the long run. The most recommended Safflower oil brands are Beauty Aura Safflower Oil, Spectrum Naturals Expeller Pressed Organic High Heat Safflower Oil, Eden Foods Organic Safflower Oil, and Life-Flo Pure Safflower Oil.